FOR YEARS: 2008, 2009, 2010, 2011, 2012, 2013, 2014, 2015, 2016 (2012). Audi Breakers. Gearboxes must be filled with new oil upon installation. Gasket and seals need to be replaced before installation. Number : 4A0 959 855A. AUDI 80 COUPE 100 A6 200 V8 QUATTRO CABRIOLET. Our Part Number : AN 1525. AUDI 80 COUPE/CABRIOLET DASH SWITCHES AND BLANKS. Condition is Used. Dispatched with Royal Mail Signed For® 2nd Class. 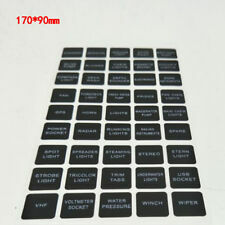 1781cc 177/133 20v. TT Quattro (MK1 (8N)) (ABS). 3 Door Coupe. Clutch Switch. Electric Windows, Electric Door/Wing Mirrors. Exterior Colour Code. Manual 6 Speed (Gearbox Code FHA). This item is a used vehicle part and as such may have signs of general wear/handling. The Actual Item will fit 2000 MK1 AUDI TT COUPE 1.8T 225 BAM. This Item Needs Cleaning. To Ensure The Part Is Right And Will Fit His Car. Security Mark. Is This The Right Part For Your Vehicle?. ToDouble Check His Own Part Visually. Unused bracket for 4 switches for fitting in the centre console of an Audi 80 B3 Coupe. FOR YEARS: 2008, 2009, 2010, 2011, 2012, 2013, 2014, 2015, 2016 (2012). Audi Breakers. Gasket and seals need to be replaced before installation. External gaskets and seals are not warranted. They need to be inspected and replaced if necessary before installation. A5 S Line Quattro. Receive it within 24 hours of order! Opening Hours. 100% Responsive. FOR SALE IS A USED BUT GOOD CONDITION TESTED AND WORKING ELECTRIC SUNROOF SWITCH TO FIT AUDI 100 (1991-1994), AUDI 80 (1992-1996) AND AUDI COUPE (1989-1995). PART NUMBER IS895 959 561. (Taken From: 2013 AUDI A5 S-LINE COUPE FACELIFT 2.0 TFSI, GREY, BREAKING ). Used Condition! Have minor mark, dents, scratches. YOU WILL FIND MORE INFORMATION ABOVE. 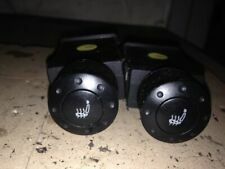 AUDI 80 1994 HEADLIGHT ADJUSTER SWITCH 8A0941301 AND DASH SWITCH SET. Parts are fully functional but you should expect normal wear corresponding to the year and milage of the car the part has been removed from. Audi 80 Coupe Indicator and Light Stalk. Donor Car: 1992 Audi 100 C4 Saloon 2000cc. The New and Used Audi Parts Specialist for all Audi models worldwide. Audi Part Number: 443 953 513 H. It may fit others. Good condition. From an 1994 cabriolet. The Actual Item will fit 2000 MK1 AUDI TT COUPE 225 BAM. Mouse Over Image To Zoom. (ForOfficeUseRefMA377. This Item Needs Cleaning. Is This The Right Part For Your Vehicle?. To Ensure The Part Is Right And Will Fit His Car. ). 2009 AUDI TT COUPE MK2 2.0 FSI TURBO PETROL 2WD. REMOVED FROM A 2009 AUDI TT COUPE MK2 WITH A 2.0 FSI PETROL ENGINE & MANUAL GEARBOX. CHANNEL ISLANDS. ISLE OF MAN. SCOTTISH ISLES. SCOTTISH HIGHLANDS. The New and Used Audi Parts Specialist for all Audi models worldwide. Donor Car: 1999 Audi 80 Cab 1800cc. Audi Part Number: 893 941 515. It may fit others. 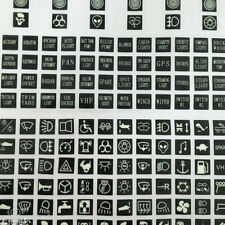 All parts are stamped & removal of the marks will invalidate your warranty. In the event that a part is supplied and proven to be incorrect or faulty, Bits & Parts Ltd. must be notified within 48 hours. 2009 AUDI TT COUPE MK2 2.0 FSI TURBO PETROL 2WD. REMOVED FROM A 2009 AUDI TT COUPE MK2 WITH A 2.0 FSI PETROL ENGINE & MANUAL GEARBOX. PART NUMBER: 8P0 953 513 C. ITEM IS IN GOOD WORKING ORDER. (Part Number: 8T2867172. Donor Vehicle: AUDI A5 8T 2007. 7) gaskets, sealants and any bolt on ancillary is not covered by our warranty. example, head gasket is not covered. this is a wear and tear item. FOR YEARS: 2007, 2008, 2009, 2010, 2011, 2012, 2013, 2014 (2008). OUR REF: 1451-150319150051135. 1K0953519, 01203504. WIPER STALK. AUDI A3 8P COUPE. REG NUMBER MA53 TZT. PART NUMBERS INCLUDE. In good condition. All headrests are used, so may show slight wear and tear relating to normal use. However all marks considered bigger than normal wear will be listed. USED IN GOOD WORKING CONDITION. Your understanding and patience will be highly appreciated. AUDI A5 8T COUPE DRIVERS DOOR ELECTRIC WINDOW SWITCHES. FITS AUDI A5 COUPE MODELS 2007 - 2012. REMOVED FROM A 2008 A5 2.7 TDICOUPE. GENUINE AUDI PART. ANY FAULTY ITEM WILL NEED TO BE REPORTED TO US AS SOON AS POSSIBLE. FOR SALE IS A USED BUT GOOD USABLE CONDITION, TESTED AND WORKING GENUINE ELECTRIC SUNROOF SWITCH IN BEIGE TO FIT AN AUDI 100 (1991-1994), AUDI 80/90 (1992-1996) AND AUDI COUPE (1989-1995). PART NUMBER IS895 959 561. Audi 90 Coupe Quattro Typ 81/85. 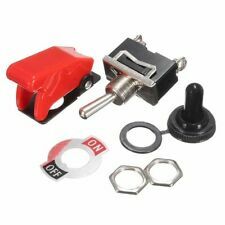 Headlight switch. FITS AN AUDI UR QUATTRO TURBO COUPE. 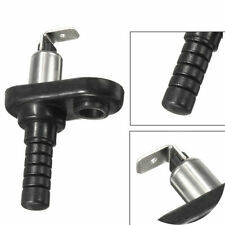 NEW GENUINE AUDI BOOT RELEASE KNOB APERTURE SEAL. ACOQ Audi Coupe quattro 1985 1986 1987 1988. ACO Audi Coupe 1981 1982 1983 1984 1985 1986 1987. ACO Audi Coupe 1988. FOR SALE IS A USED BUT GOOD USABLE CONDITION GENUINE DASHBOARD SWITCH BLANK REMOVED FROM AN AUDI 80 GT COUPE. FOR SALE IS A USED BUT GOOD USABLE CONDITION TESTED AND WORKING GENUINE HEATED REAR WINDOW SWITCH IN BROWN TO FIT A TYP 85 AUDI GT COUPE. THE PART NUMBER IS 855 941 503. FOR SALE IS A USED BUT GOOD CONDITION, TESTED AND WORKING, GENUINE WASH/WIPE/HAZARD COMBINATION STALK TO FIT VARIOUS AUDI MODELS. PART NUMBER IS 443 953 503 D.